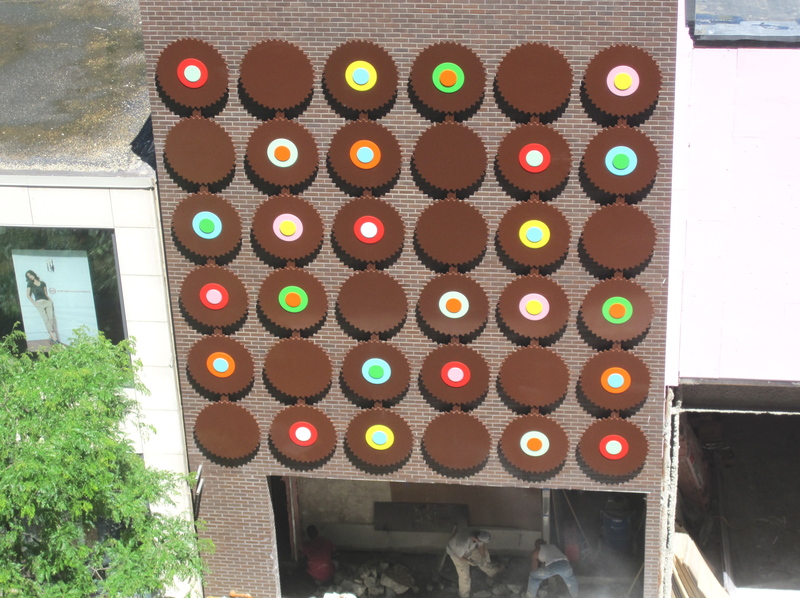 So what if it looks like a bird’s-eye view of Reese’s Peanut Butter cups, I still kind of like the storefront of the impending Sprinkles cupcake shop on Walton (in the old Sur La Table space). I remember writing about this place years ago, and finally, they are set for a mid-July opening with cupcake flavors like Belgian dark chocolate marshmallow and lemon-blueberry with lemon-cream cheese frosting, frosting shots, drinking chocolates and gluten-free selections. More cupcakes for Chicago? Well, they get points for a cool storefront, so why not? 50 E Walton St.